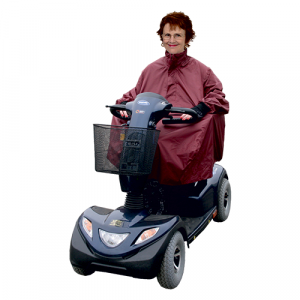 Our range of mobility scooter clothing offers comfort and warmth, waterproof protection, or both. Our 100% waterproof products can protect both you and your scooter from the rain so you can use it whatever the weather. For those cold days, our thermal covers are perfect for keeping you warm and comfortable. 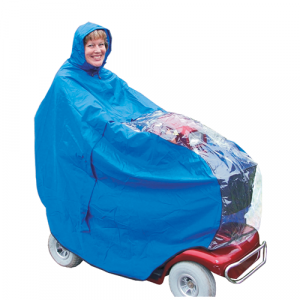 For days where the heavens open up without warning, make sure you have a mobility scooter rain cover to keep both you and your mobility aid dry! 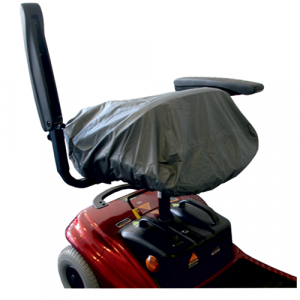 From the complete coverage that a mobility scooter rain cape provides to the smaller, practical waterproof electric wheelchair control panel cover that keeps your control box protected from the elements, Bayliss Mobility has a wide range of products that will make going out in any weather conditions comfortable and easy. 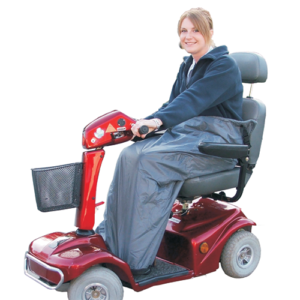 Mobility scooter clothing is any item that you can “dress” your scooter or wheelchair with. 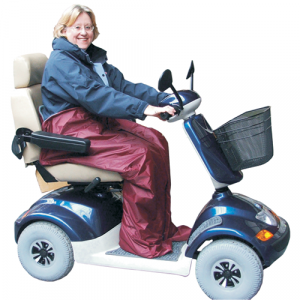 Primarily, mobility scooter clothing refers to waterproofs — literally clothes that you can put your mobility aid in, but we also stock large and small wheelchair bags that easily attach to all sorts of mobility aids, as well as anti-theft alarms. Perhaps the simplest products in this range are our seat covers for mobility aids, but these are absolutely priceless when you leave your scooter outside and a downpour hits. We also have a complete range of mobility aid accessories to choose from if you’re looking to further customise your wheelchair or mobility scooter. Browse our complete range of mobility scooter clothing below and don’t hesitate to contact us if you have any questions about fitting, sizing or anything else. 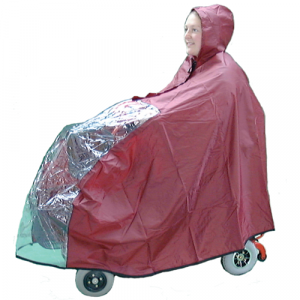 Mobility Scooter Rain Cover – Waterproof cover for mobility scooters.